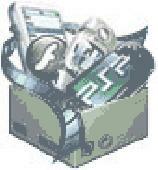 All Video to Zune Converter is powerful Zune video and audio conversion tool. It provides an easy and completed way to convert Zune video - convert popular video to Zune WMV, MP4, MPEG4.It supports video preview and batch conversion. Cool Free All Video to Zune Converter is powerful software which can help you convert all popular video formats to Zune video formats and make them can play on your portable iPhone player. It supports converting AVI, WMV, MPEG, MP4, ASF, VOB, etc.